Expanded capabilities to improve upon already strong client results. New York, NY — February 6, 2019 — Ruckus, a rapidly growing, full-service agency headquartered in NYC, is making noise in the Lehigh Valley. Leveraging core offerings of branding, web design, and marketing campaigns to achieve significant growth for clients, it is poised to improve upon these already strong results thanks to an expansion into video production and hiring of ten year industry veteran Phil Osborne. In his new role as VP of Production, Osborne will oversee a team of creatives and producers developing video content, television advertising, and digital campaigns. With 51% of marketing professionals now considering video to be the best-performing type of content, this will improve project performance and increase return for a slate of Ruckus clients already seeing strong results. In recent years, Ruckus has achieved considerable growth in both revenue and company size. Inc. 5000 named Ruckus one of the fastest-growing private American companies in three of the past four years, and last year the firm moved into a new office to accommodate up to a doubling in size. 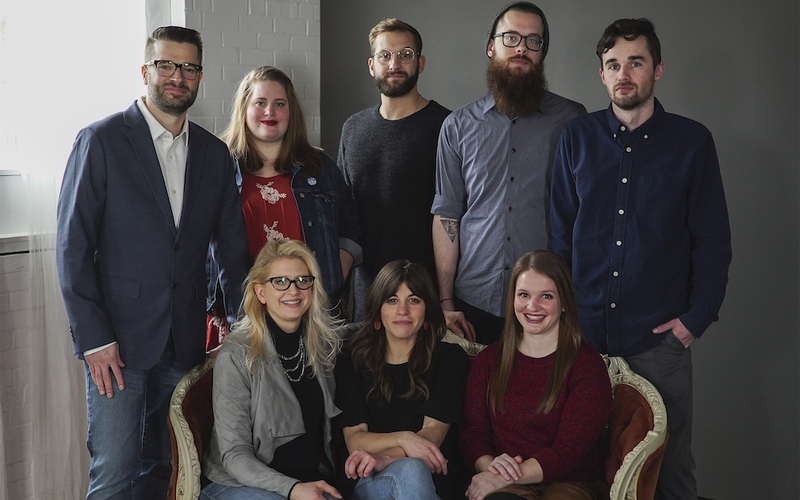 The addition of Osborne and his studio team builds upon these growth trends and continues Ruckus on its trajectory as one of the most innovative firms in the country. In addition to the enhanced capabilities, Ruckus also plans to build out much needed Studio space at the former Neuweiler Brewery in a market that desperately needs it. Ruckus warmly welcomes its new team members and looks forward to working with them to continue creating Expertly Crafted Disruption. Ruckus is a full-service, NYC-based agency servicing a range of Fortune 1000’s and successful start-ups. Founded in 2004, it continues to challenge conventional norms and has grown from a respected boutique Agency into a globally recognized brand. For more information, reach out to Phil Osborne, VP of production, at 484.515.5136 or Phil@ruckusco.com.